Our social media feeds are often full to the brim with influencers jetting off to gorgeous cities and postcard-worthy beaches – and to be honest, we can be left feeling a little jealous. However, travel needn’t be the pastime of just the rich or famous. With the right knowledge and a little bit of insider info you could be flying away in no time, all without creating too much of a dent in your bank balance. Here, we’ve rounded up the destinations where we frequently see return flights for less than £100. Norway's capital city, Oslo, isn't famed for being cheap. In fact, the country is notoriously expensive for visitors from outside of Scandinavia. However, this needn't mean that you can't afford to visit! This is the destination where we most frequently see bargain flights, with returns often coming in at under £15. 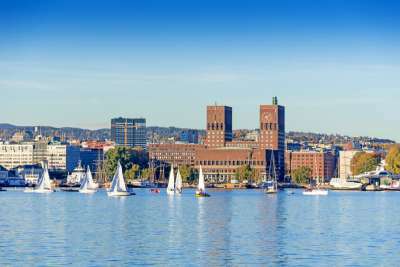 Once you're there you can enjoy the city's marriage of the natural and the man-made with park lunches, inner-city Fjord swims, and waterfront strolls to keep costs down. Barcelona is a great spot for those who are indecisive when it comes to holidaying. Want to flop out on golden sands but also experience bustling city scenes? Looking to soak up some culture and also dance until dawn? This Spanish city has you covered. 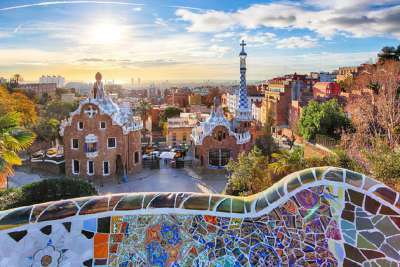 With Spain's (arguably) most famous destination being just a hop, skip and a jump away, us Brits are lucky enough to enjoy cheap flights here almost all year round. Be flexible with times and dates, and you could be sipping a sangria on Las Ramblas in no time, and all without breaking the bank. Marrakech is our only non-European destination, and we admit, it can be a little trickier to find a bargain flight here. However, they can be found, and the city's bustling central market, sunny climes and vibrant scenes make that hunt for a bargain so very worth it. For the best steals, look to weekday flights and prepare to be flexible about your departure airport. 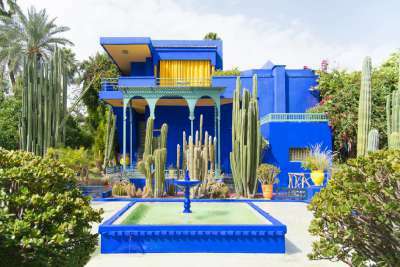 Once you're there you'll be able to spend mornings navigating the smells and sights of the souks before heading to the Majorelle Garden or Palais Bahia for a little welcome respite in picturesque surrounds. The City of Love is a firm favourite with Brits looking for romance. The Eurostar might be a quick and easy way to travel but flying is often kinder to the wallet. 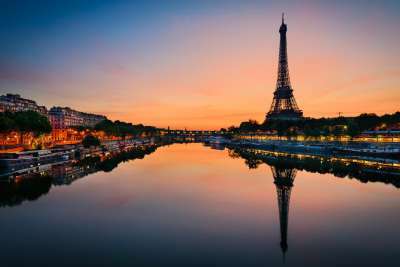 With return flights often coming in at under £100, you will be able to treat your loved one to a trip up the Eiffel Tower, boat rides along the Seine and delicious dinners in quaint surrounds. Those looking for something more gruesome than ahh-inducing might want to spend their days traversing the city's catacombs instead. Holidaymakers looking for consistently excellent weather and seemingly endless beaches often head to the Canary Islands for their fix of sun. Tenerife is the biggest of the islands and enjoys some of the cheapest flights, making a trip here all the more affordable. The island is famed for its formerly volcanic peak, which provides great hiking opportunities in cooler months, while in summer, people tend to choose to flop beside the many black and gold sand beaches here. When it comes to nightlife, Berlin is inimitable. Its clubs have been welcoming partygoers for weekend-long raves for years, and is as yet unchallenged as Europe's nightlife capital. However, if techno is not your scene and you prefer to spend your holidays exploring historical sites and cultural spots, the city has you covered too. 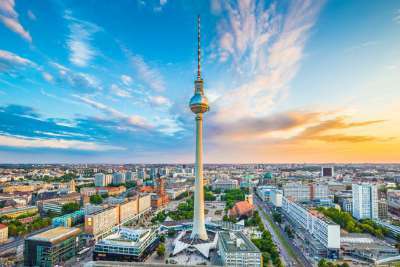 Breakfast atop the Reichstag, educate yourself on Berlin's devastating history at the Memorial to the Murdered Jews of Europe, or catch the street art at the East Side Gallery - and that's just the start - there's so much to see and do. No matter which side of the city you're looking to explore, there's a cheap flight to get you there! 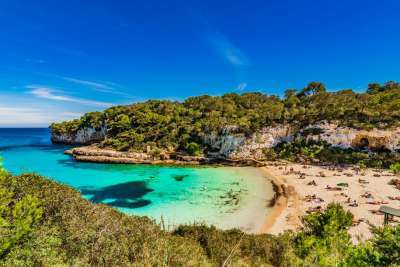 Majorca is an island with many sides: there is the infamous party resort of Magaluf, the pristine beaches and clear seas of the north, pretty hillside villages (such as Pollença), and the architecturally fascinating capital of Palma. Whether you prefer cheap neon cocktails (and who doesn't love them? ), or glasses of wine in seafront eateries, there's a spot on this island for you. Getting there is cheap too, so how much you spend on your holiday in total is up to you. Venice's intricate waterways have inspired novelists and Hollywood scriptwriters alike. 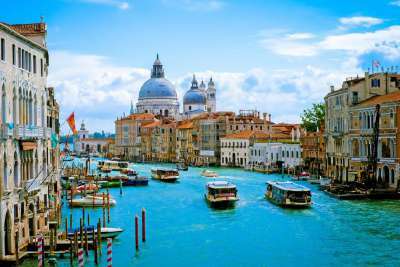 It's not hard to see why when you traverse the city's stone steps ducking under quaint bridges as you go, or experience the pristine St Mark's Square, which opens out onto the glittering river. Bagging a cheap flight here is fairly easy to do but finding a bargain hotel break is a little trickier. Our top tip is to stay clear of the centre and look to the city's outskirts for more affordable accommodation. Cannaregio is just a short train journey away from the centre and offers up cheaper rooms, while the Dorsoduro area's proximity to the city's university mean that you can often find more bargainous prices. 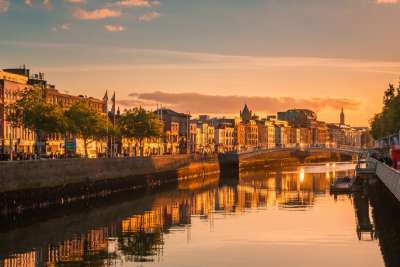 The city of Dublin is famed for its pubbing opportunities. When flight prices are this cheap you'll be able to hop from bar to bar, pint in hand, through the Temple Bar area without worrying too much about the price of your beer. When you're not boozing, there are fascinating museums to explore, from the tiny artefacts at the Little Museum of Dublin to the impressively preserved bog people in the national museum. Faro is a firm favourite with holidaying Brits all year round, due to its balmy climes and golden sands. Flights here are affordable meaning that it's a great spot for a last minute escape when British weather gets just a little too dreary. You could be enjoying fresh sea fare in beachfront surrounds or searching for the flamingos of Ria Formosa National Park in no time at all.